Just before CES Samsung announced its next gen point and shoot Galaxy Camera 2, which will be powered by Android and will be pretty similar to its previous bro. It’s got the same 16-megapixel image sensor and the 21x (23-483mm equivalent). It’s going to have the latest version of Jelly Bean i.e. Android 4.3, but there’s not any chance that KitKat is coming to the Galaxy Camera 2. In terms of processor, it will have an upgraded 1.6 GHz quad-core processor (make and core unspecified) and supported by 2GB of RAM, the Galaxy Camera 2 should be quite quick when it comes to shooting. The rear display is the same 4.8-incher that we first saw in the Galaxy Camera. Support for NFC has been added, which is obviously a better option for connecting with other devices. In addition, there’s a larger 2,000mAh battery. The 8GB internal memory isavailable on board along with 50GB of free storage on Dropbox for two years. 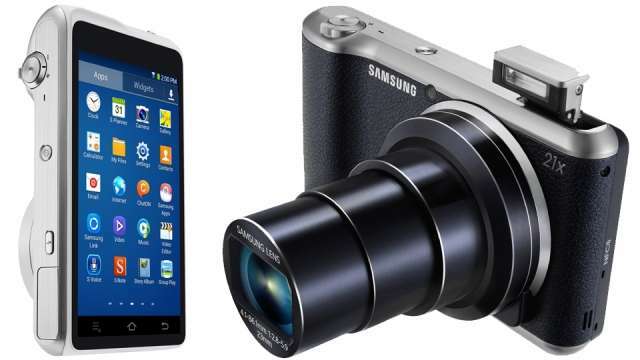 Pricing and availability for the Galaxy Camera 2 has not yet been announced, but it is a highly expected product at the CES.